Today is a day to celebrate a great man of honor. A man who knows the value of brotherhood and can give anything for the progress of others. He gives his best at all time despite the challenges around him. He is a genius and my steemit story will not be complete without mentioning him. 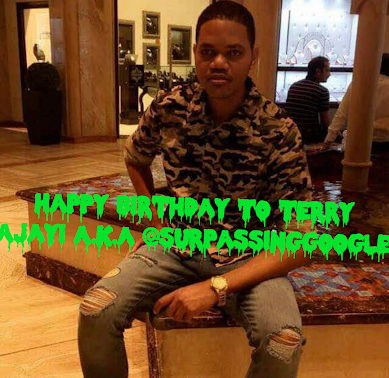 I'm talking about no other than the one and only @surpassinggoogle - Terry Ajayi. He is a compassionate and a generous man. He is brave and he is loved by everyone. He has contributed a lot to humanity through ulogging. Your UA account score is currently 3.315 which ranks you at #7961 across all Steem accounts. Your rank has dropped 11 places in the last three days (old rank 7950). In our last Algorithmic Curation Round, consisting of 227 contributions, your post is ranked at #38.